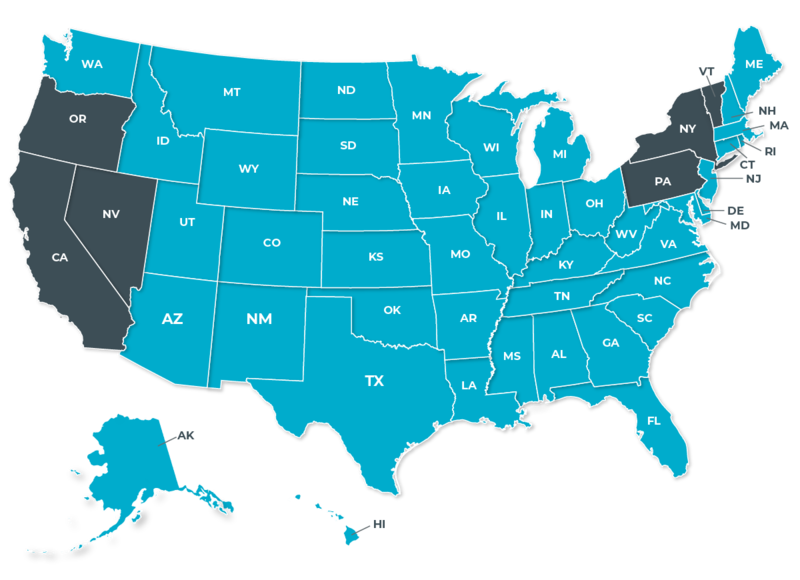 AHP Servicing LLC is licensed to engage in mortgage servicing activity in the states colored blue. This map indicates where AHP Servicing LLC holds required company mortgage servicing licenses or is otherwise able to service performing first lien mortgage loans pursuant to an applicable statutory exemption or exception. Note: The status of other types of licenses related to certain activities other than first lien mortgage servicing, such as loss mitigation or statutorily defined collections efforts, is outside the scope of this graphic aid. TEXAS BORROWERS: CONSUMERS WISHING TO FILE A COMPLAINT AGAINST A MORTGAGE BANKER OR A LICENSED MORTGAGE BANKER RESIDENTIAL MORTGAGE LOAN ORIGINATOR SHOULD COMPLETE AND SEND A COMPLAINT FORM TO THE TEXAS DEPARTMENT OF SAVINGS AND MORTGAGE LENDING, 2601 NORTH LAMAR, SUITE 201, AUSTIN, TEXAS 78705. COMPLAINT FORMS AND INSTRUCTIONS MAY BE OBTAINED FROM THE DEPARTMENT’S WEBSITE AT WWW.SML.TEXAS.GOV. A TOLL-FREE CONSUMER HOTLINE IS AVAILABLE AT 1-877-276-5550.